I've had babies on the brain lately. So many friends are expecting right now. I guess that is why this sweet little rocking horse caught my eye while I was at a thrift store recently. the dirt and crayon scribbles had to go. 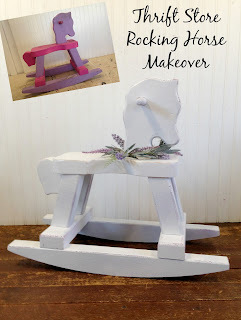 I cleaned off the rocking horse before giving it a good sanding. and to make sure all of the crayon marks were removed. 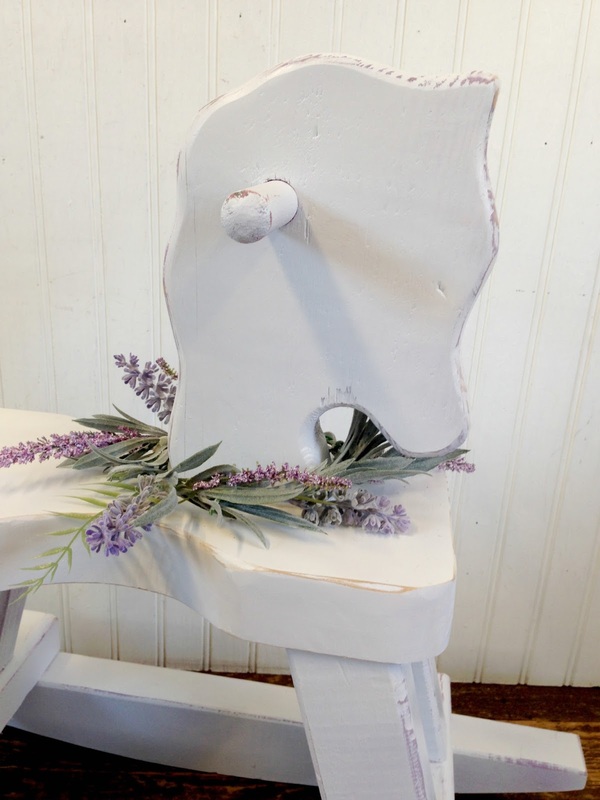 and painted it in Blossom White by Rustoleum. I hand sanded the edges to allow some of the pink and purple to show through. 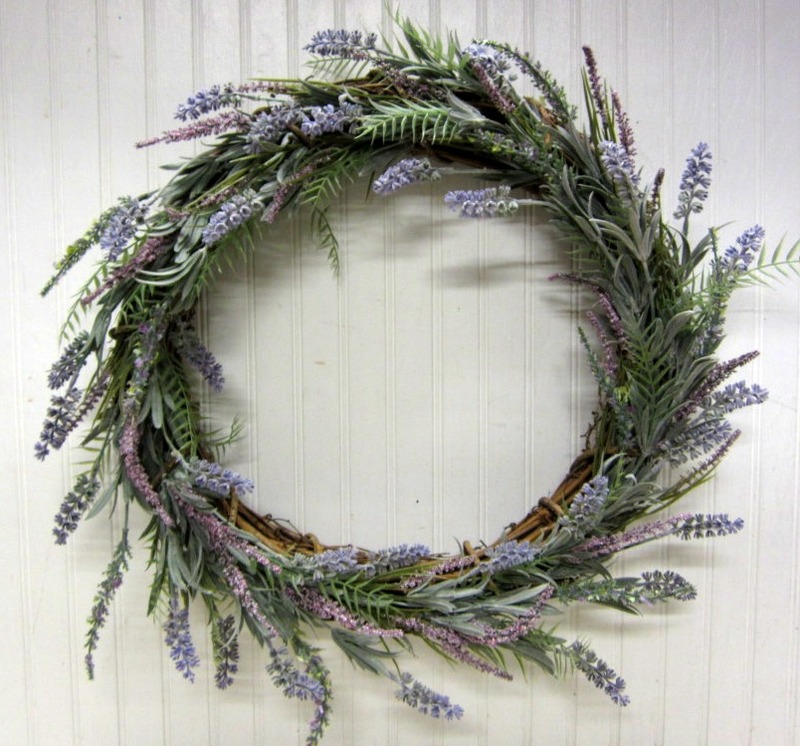 to help protect it before adding a lavender wreath around her neck. leftover from making this wreath. 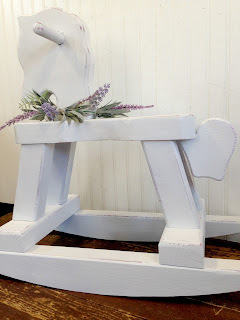 The wreath and the rocking horse are both available in my Etsy shop here and here. Wouldn't this rocking horse look darling on top of an armoire in a shabby nursery or little girls room? 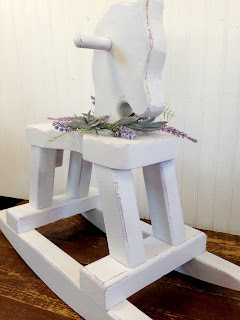 I think they are adorable too, especially when they are used as decor pieces :) I'm sure your future grandchildren will love it. 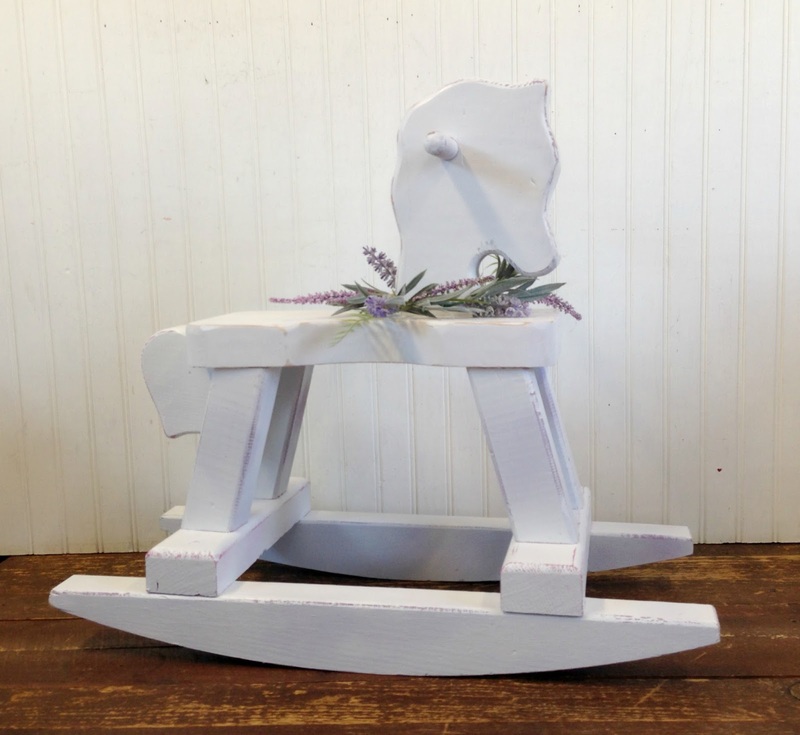 Such a sweet little rocking horse. It is so pretty now! I love the lavender too. Hope you are well, Adina. 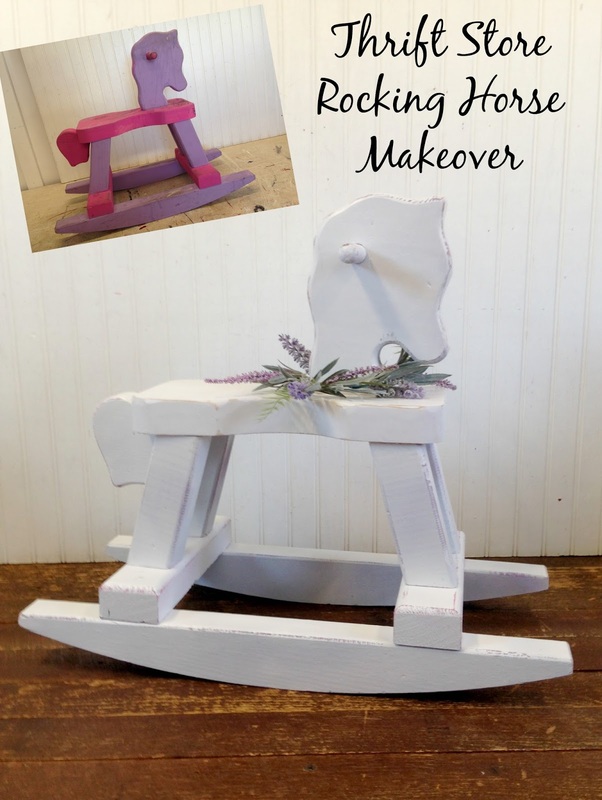 I love the rocking horse! I think it would look great by a chair or sofa with a nice plank sitting on top of it! Thank you! That would be a cute idea!